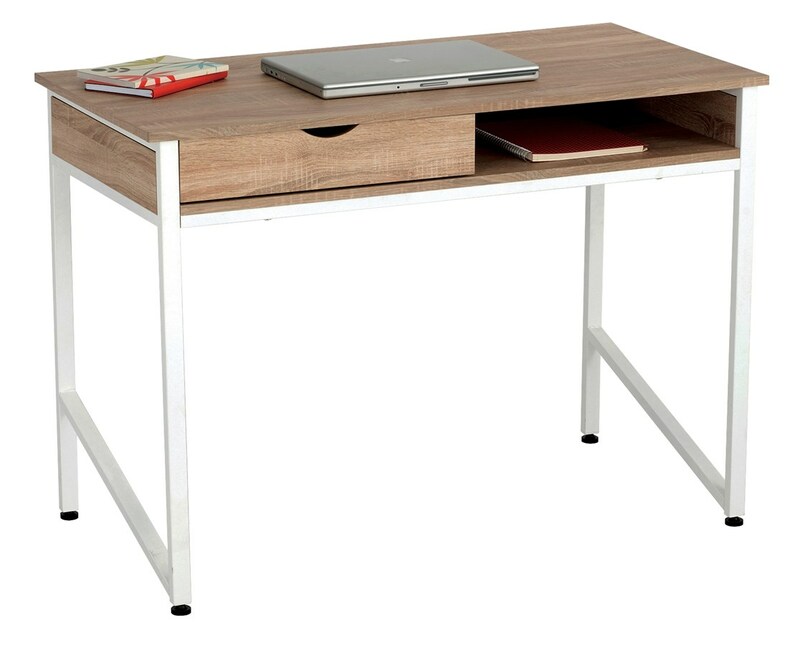 The Safco Single Drawer Office Desk is a stylish and tough table designed for office use. It has a single drawer and a built-in compartment for storing and organizing office supplies and other items. The desk’s work surface is 43¼ inches wide. The legs have a contemporary design and floor glides for easy, non-abrasive movement. 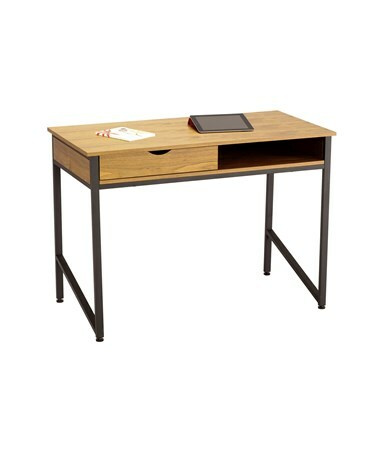 This desk’s frame is made of steel with a powder coat finish, while the table top is made of either wood veneer or laminate. 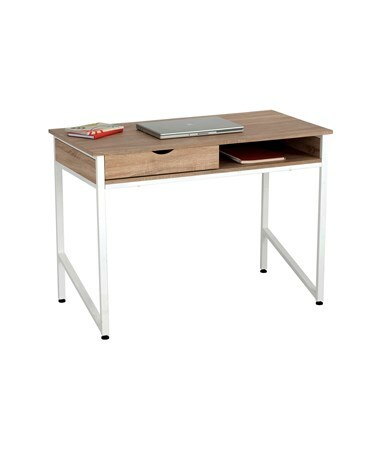 The Safco Single Drawer Office Desk is available in two different colors. Please select your preference from the choices above.